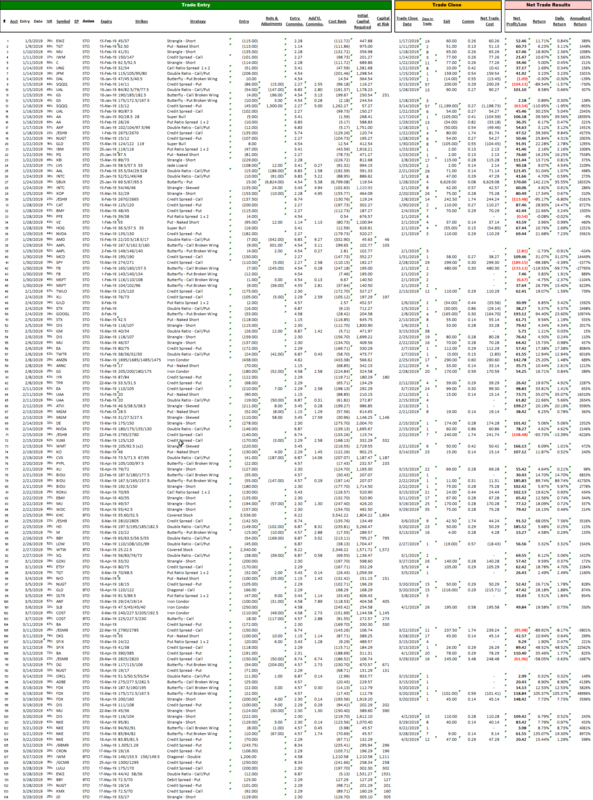 This page reflects the trading results for 2019. 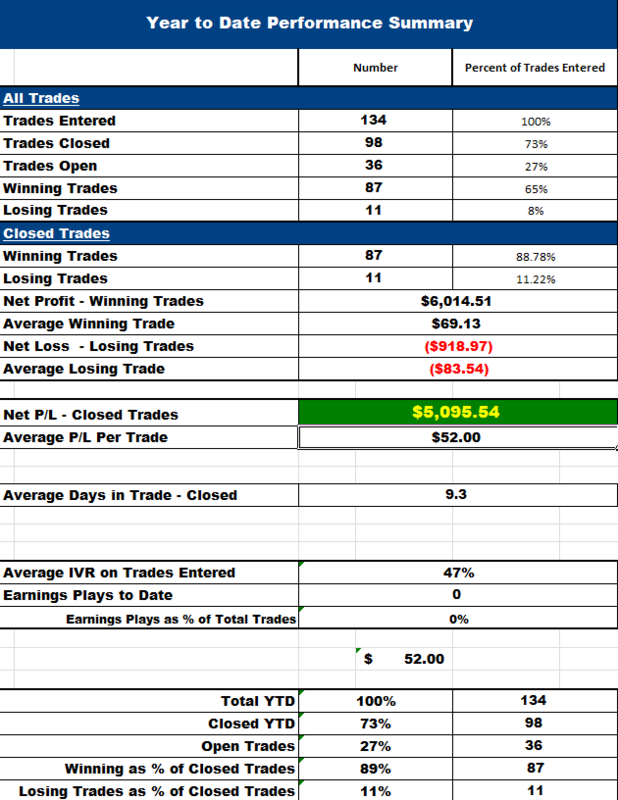 The trades have been conveniently broken down into a simple performance summary and a table showing trade results by strategy. On the trades by strategy chart, those in green are Trade Level 1 Strategies. The strategies in yellow are Trade Level 2 strategies and are more intermediate strategies. Finally, the trades in the red section are Trade Level 3 Strategies and are the most advanced strategies and carry the greatest risk and reward profiles. By scrolling further down you will find the detailed trade log for 2019. 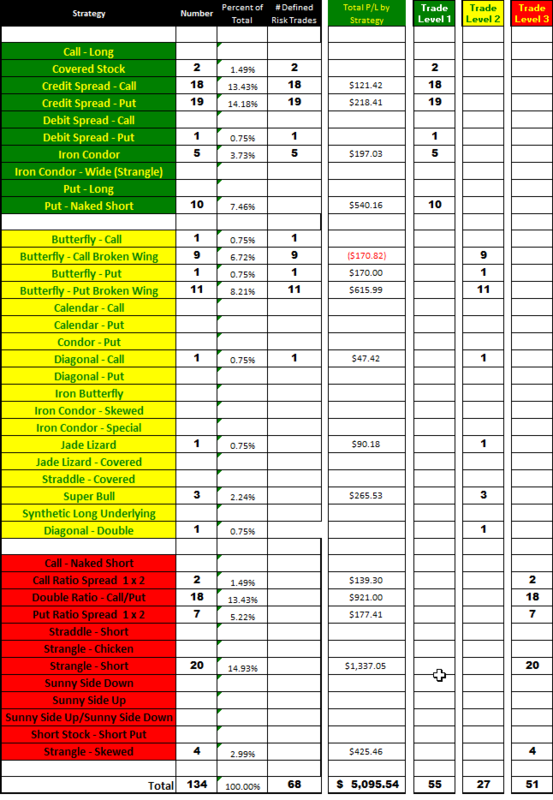 Every trade that was executed and the results can be found in this master sheet. Incomplete data on any trade would indicate that the trade still remains open.